Clipping path is a process of photo editing that effectively removes the background of an image or object. It is carried out in advanced image editing software such as Adobe Photoshop. The process of clipping path involves creating an outline around an image for effectively removing it from the background. Also referred to as closed vector path, clipping path process consists of using the pen tool in Photoshop for creating a path around the object. The best clipping path service is employed in a range of applications such as e-commerce, real estate, print media, etc., for altering the backgrounds of the image. It is an excellent way to make the images presentable for use in both online and offline platforms. Image masking, on the other hand, is a much-complicated image editing process used to mask out the background from an image. Through image masking, the portions of an image can be selected for separating it from the background. The portions that lie outside the selections are omitted. This method is the preferred way to remove or detach a particular portion from the rest of the image. The process of image masking involves using various tools and techniques for effective separation of an object from the background. The key differences between clipping path and image masking lie in the complexity of the process and the output. Clipping path is the most commonly used service by most photo editing services for removing portions of an image from its background. It is an excellent method for simple shapes and objects. However, for complex shapes like hairlines, clipping path is an inappropriate method, as the output resembles an artificial look. 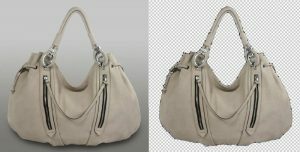 Moreover, clipping path process when done on such complex shapes can also result in losing some portions of the image. Conversely, image masking is a more effective and complex technique than clipping path. Masking involves the use of more tools and techniques available in imaging software such as Photoshop for effectively separating the image from the background. Image masking is perfect for complex images such as fur and hairlines as it can separate them without losing their natural look, unlike clipping path. The other major difference between clipping path and image masking is the tools and techniques used. Clipping path mostly utilizes the pen tool in Photoshop for tracing and outlining the portions of the image. Image masking, on the contrary, uses an assortment of different tools such as background eraser tool, magic eraser tool, color separation technique, etc., for separating the object from the background of the image.